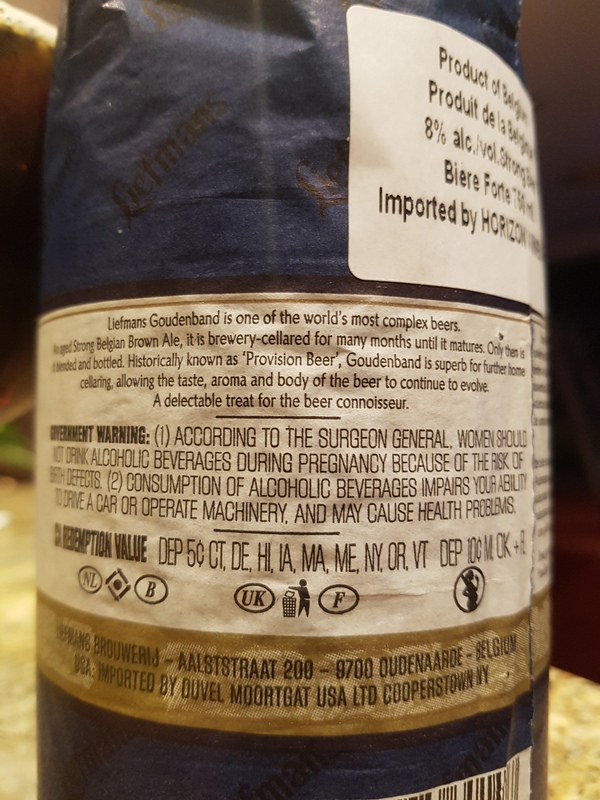 Ingredients: Ale, concentrated fruit juice (raspberry, apple, strawberry, elderberry), Invert sugar, citric acid, natural raspberry flavour, acesulfame-potassium. Visual: (cellared for 5 years). 4-pack aluminum cans. Pours clear rosé pink with a light shade of brown, fine ringed retention, a few bubbles surfacing. Summary: Basic and drinkable, more of a party drink to wash down potluck food. You’ll get a buzz while chowing down that food to get rid of that artificial sweetener nastiness. Visual: (cellared for 6 years). Paper wrapped bottled, neat. Corked with a twisty steel cap. 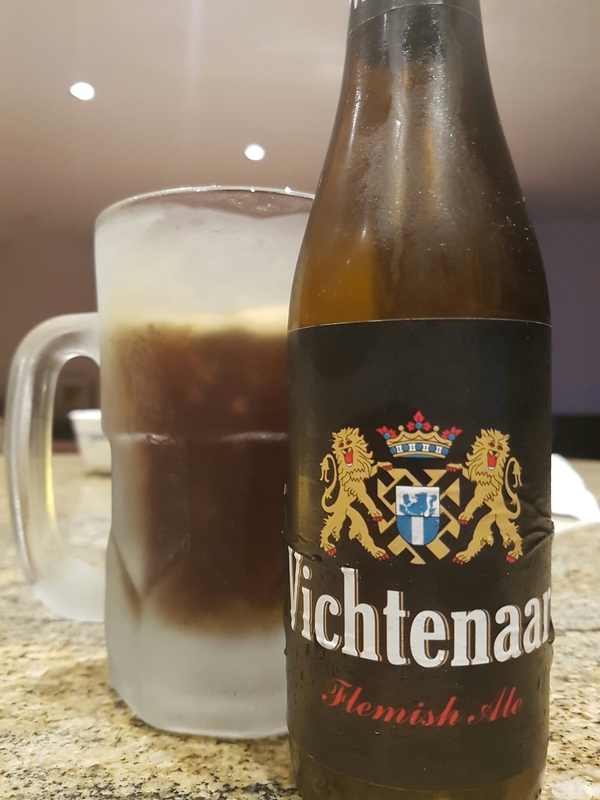 Pours dark cola brown with a small dissipating head, chunk bits of sediment in the last pour, a few bubbles here and there, not much. Nose: light yeasty, slight wet funk, prune-plum, (lvl-6)-pungency. Summary: Even without much CO2 mouthfeel, there is a fine sense of balance and body in the sour dark fruity malt profile. The transitions are seamless it goes down super easy. 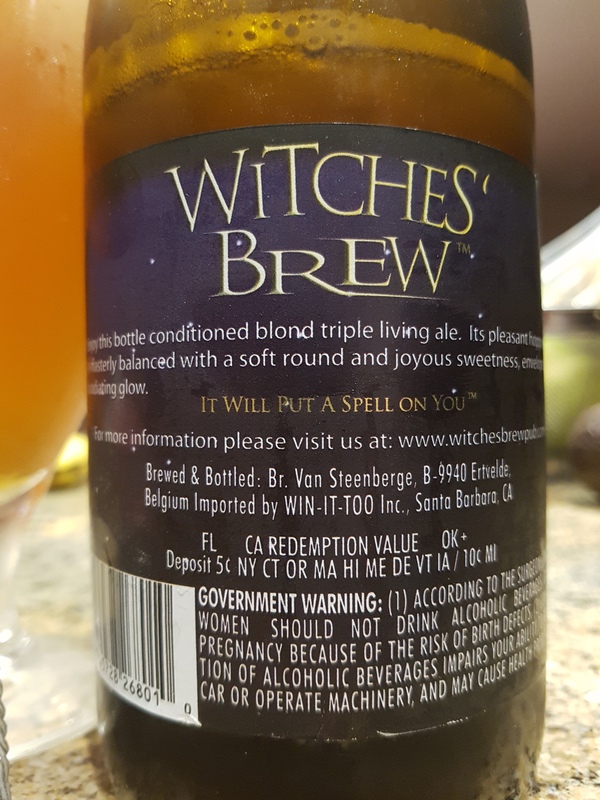 “Enjoy this bottle conditioned blond triple living ale. Its pleasant hoppyness is masterly balanced with a soft round and joyous sweetness, enveloped in a radiating glow. Visual: (cellared for 6 years). Twisty steel cap with composite cork. Pours translucent dirty copper orange with a large 1 inch frothy head, sticky lacing, a fine layer of micro retention, clusters of micro steady streams. Suspended bits of sediment along with some black bits, likely from the cork. 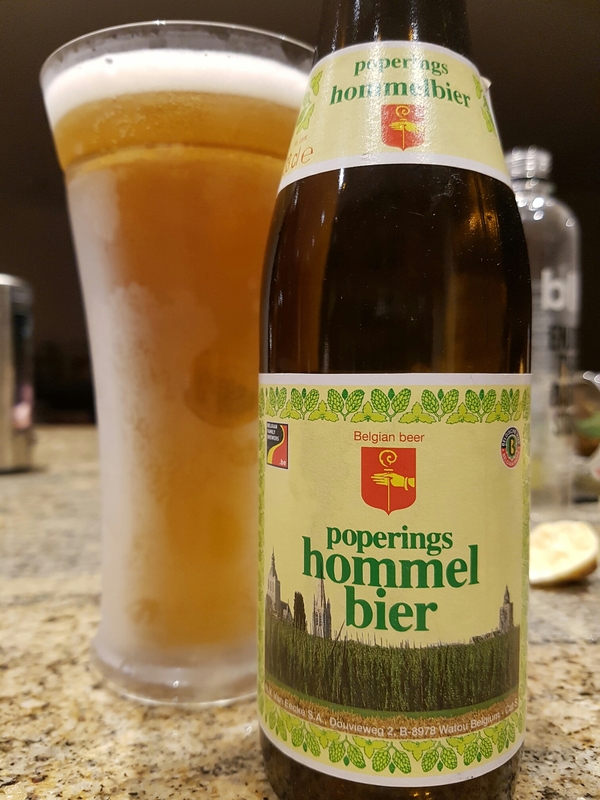 Summary: A decent, heavy-hitting tripel, but after one glass the alcohol becomes too overbearing and the sugars overpowering the palate. Can’t say I loved it, but I can sense the quality of craftsmanship. Would I recommend this to beer aficionados: nah. Visual: Pours dull copper brown-orange with a small 1cm foamy head, super clusters upon clusters of active streams, suspended sediment – glorious. Summary: Visually – great, 10% ABV – wow. The mouthfeel and texture are delightful but I just didn’t appreciate the almost salty note in the mid as well as the dark nutty date flav in the mid to finish; Somehow the honey/floral didn’t match up correctly for my palate. Ingredients: water, fruit juice (strawberries 11.5%), barley malt, sugar wheat, flavourings hops, antioxidant: E300. Visual: Aluminum foil covered. Pours opaque cloudy scarlet red with a nice 2cmm frothy head, 1mm layer of retention, clusters of very active micro streams. Summary: The barley tastes very generic and is mainly covered up by the strong fruity strawberry presence. 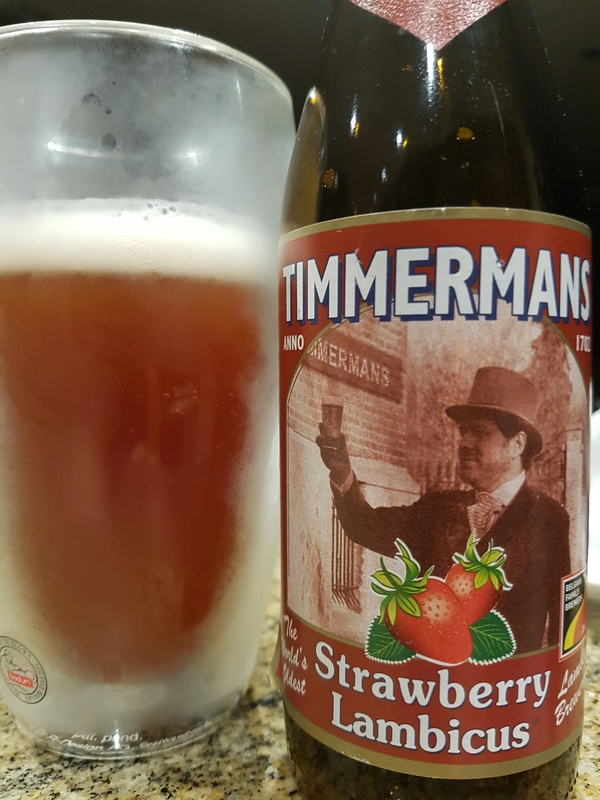 Decent strawberry flavour, but it comes across as very candy-esque, straightforward, and uninteresting after a few sips. Wicked aroma though. Visual: Pours almost clear pale deep orange with suspended bits of yeast, super clustered activity like a snow globe, 0.5cm lasting frothy head. Summary: Unbelievable that this is 7.5% – too smooth to be true. Not a ton of pronounced flavour but a superbly executed balance of ultra-creamy mouthfeel, barley-grain, plus a little extra citrus-floral notes from the hops that compliment the whole experience. 3/4 through and still amazed at how smooth it is. Visual: Pours dark cherry wood reddish-brown with small dissipating head, thick ringed retention, clusters of steady streams. 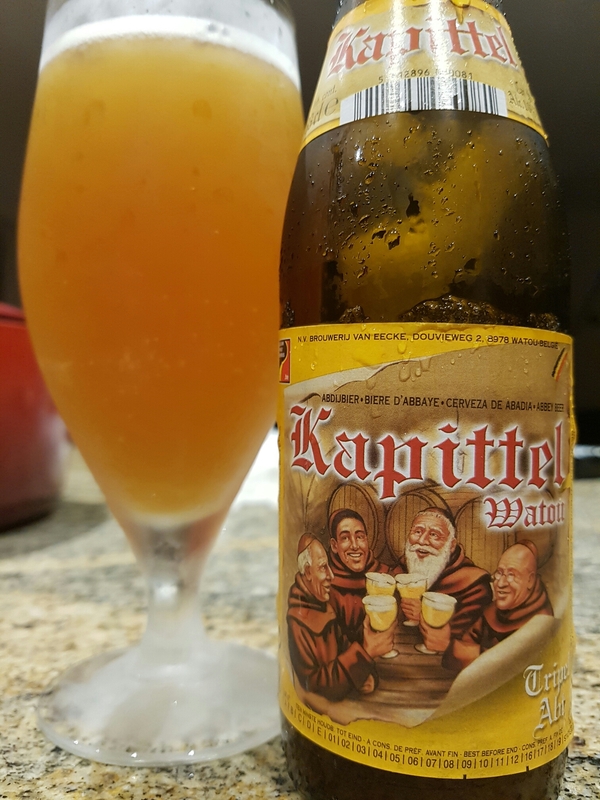 Summary: A pretty complex sour ale with a woody element that is well worked into the mids. Good overall balance and interesting from start to finish.